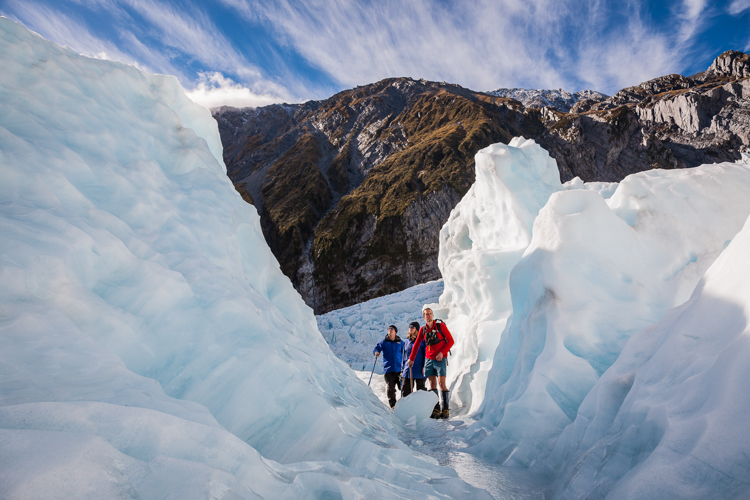 Come and explore the rugged West Coast of the South Island, where the mountains meet the sea and rainforests give way to Glaciers. 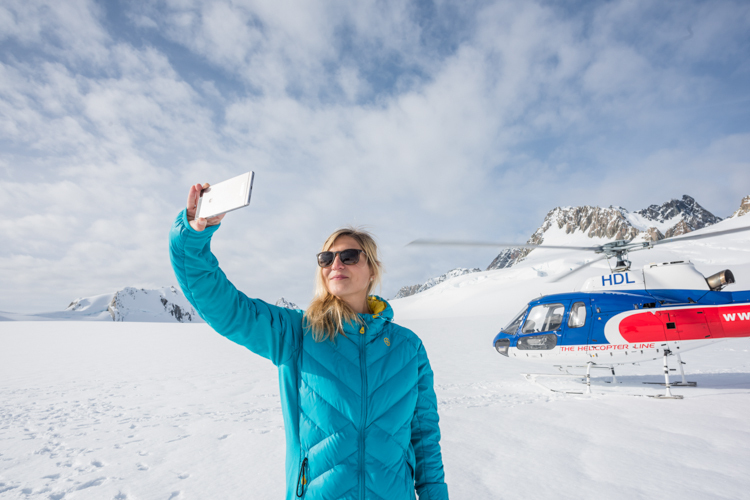 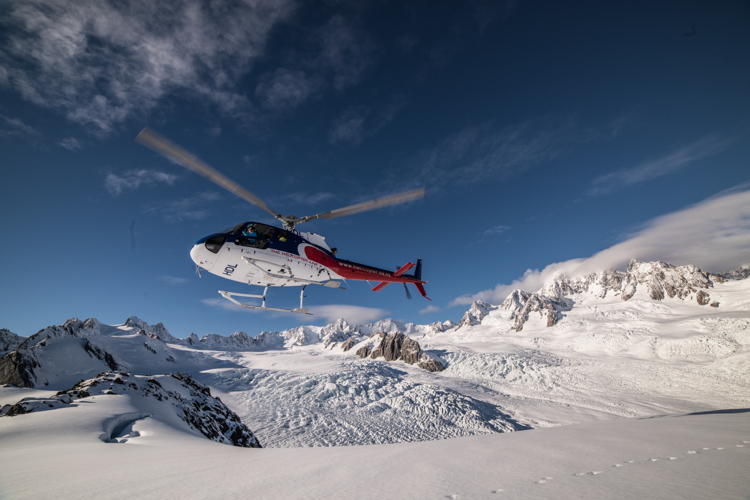 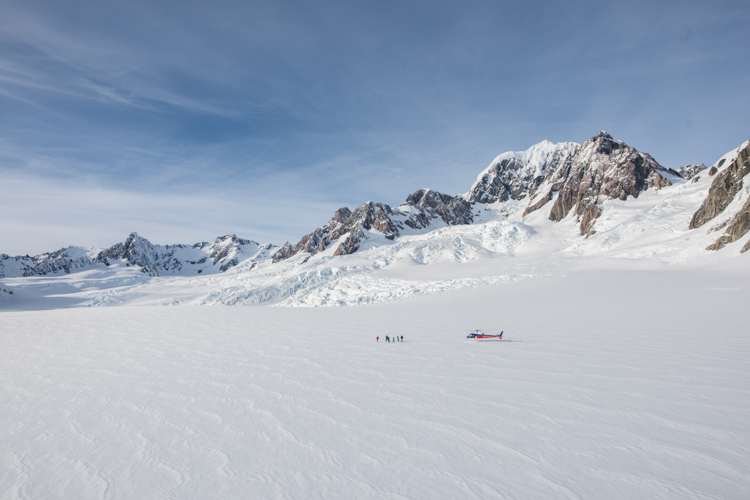 Operating from both the Fox and Franz Josef townships the Helicopter Line has multiple flight options available for you to experience the dramatic formations of both glaciers. 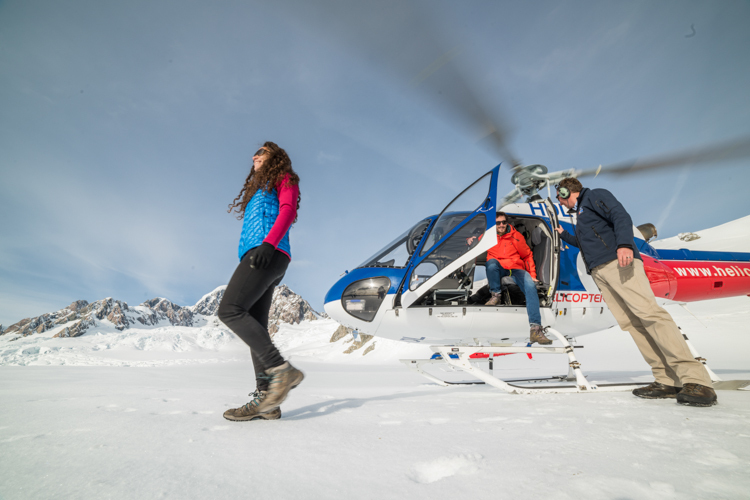 The ‘Mountain Scene Spectacular’ flight is our premier tour and lasts for 40 minutes @ $450 per adult. 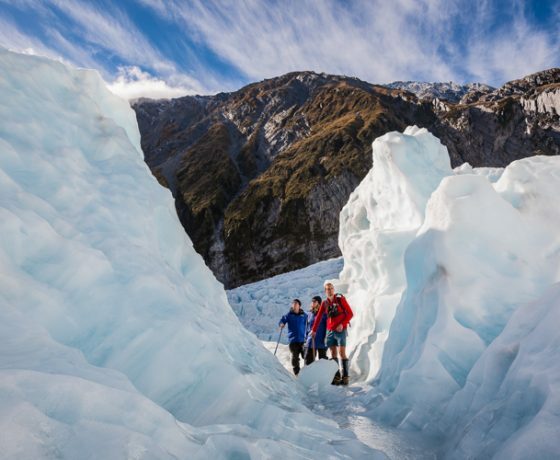 Encounter the gigantic expanse of both glaciers, experience two of New Zealand’s finest National Parks and then set foot on the snow and breathe the clean alpine air. 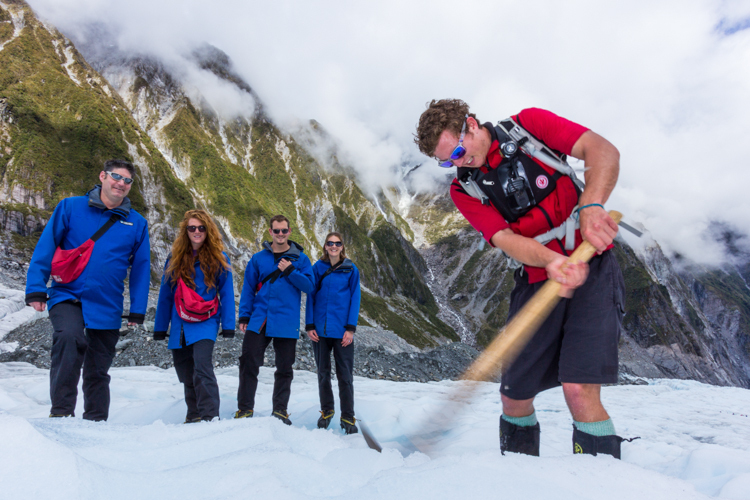 Also viewing the Tasman Glacier and New Zealand’s highest peak, Mount Cook. 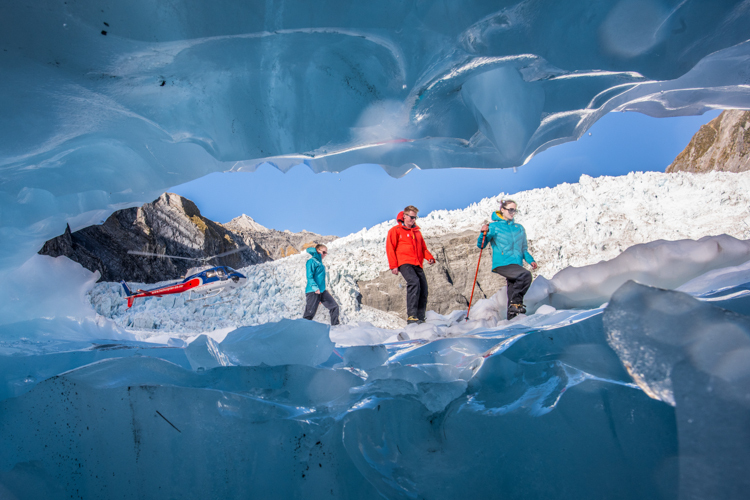 Our ‘Twin Glacier’ flight lasts for 30 minutes @ $310 per adult. 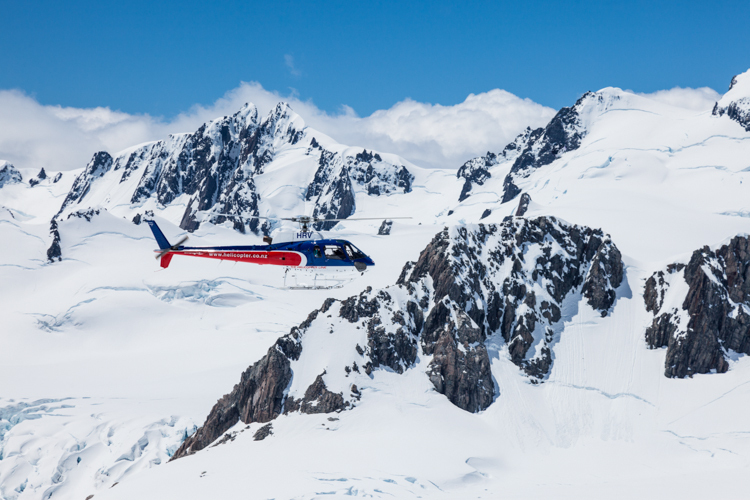 Fly over both the Fox and Fran Josef Glaciers and land at the head of one of them. 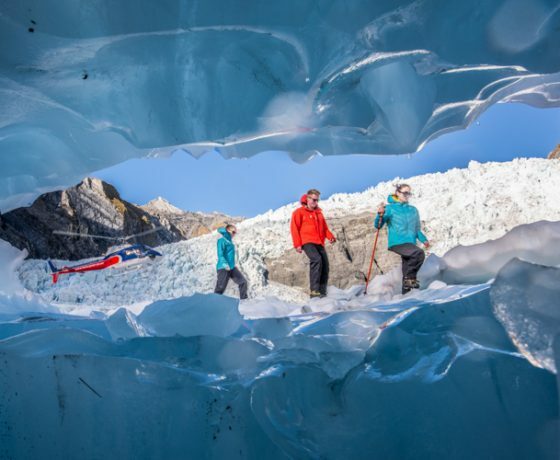 where you can view the incredible landscape as the glacier winds slowly down the carved valley. 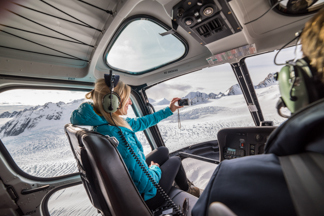 The ‘Neve Discoverer’ a 20 minute tour @ $240 per adult. 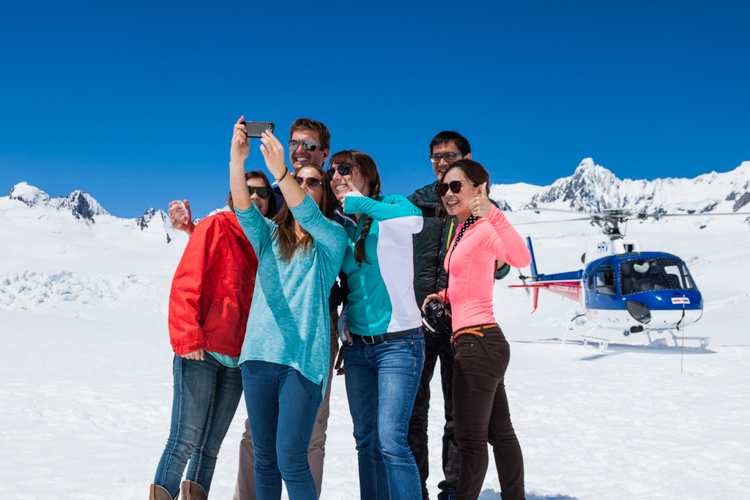 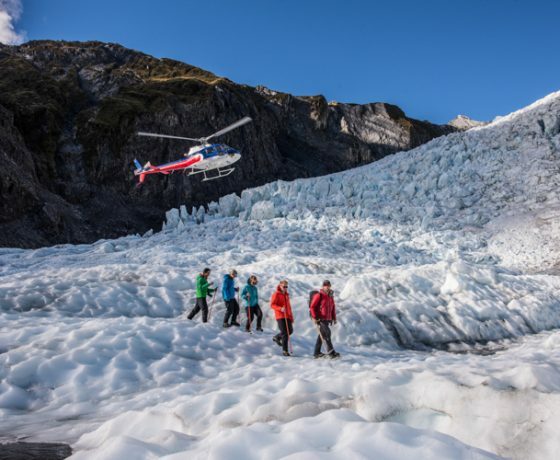 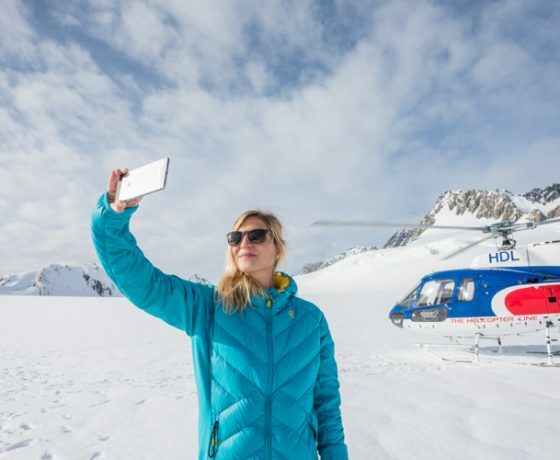 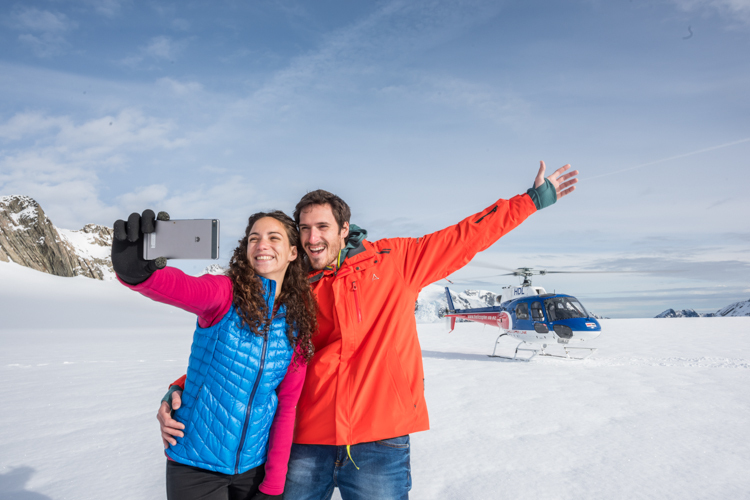 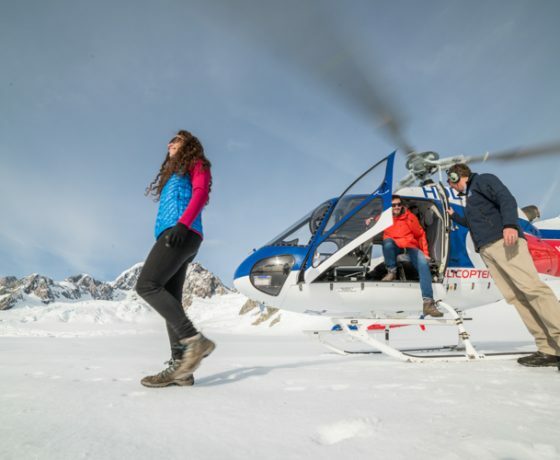 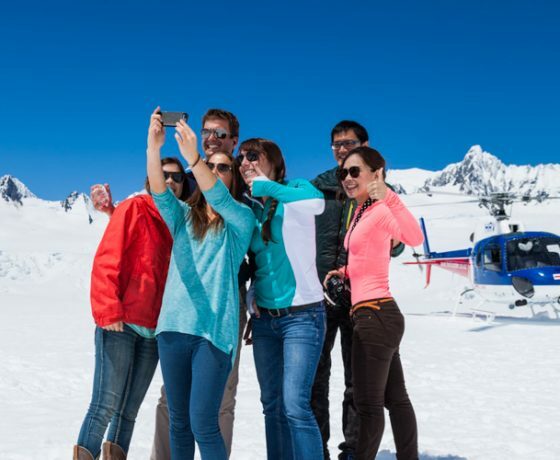 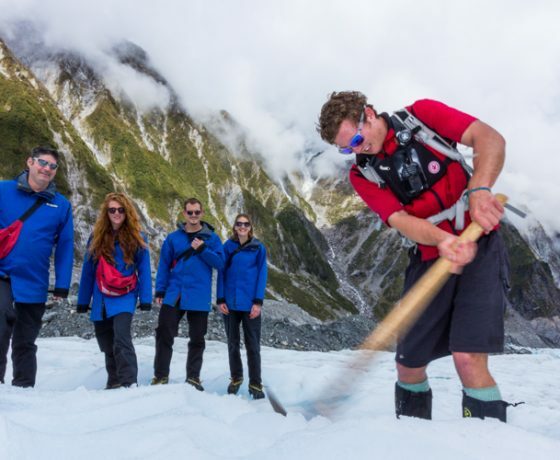 This tour includes a snow landing giving you the perfect opportunity to get up close and touch the snow You’ll be captivated as you lift off and fly up and over the Franz Josef Glacier or Fox Glacier and experience the solitude of a landing in this wonderful natural alpine environment. 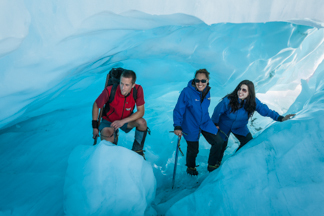 The ‘Fox Glacier & Mount Cook’ trip is one not to be missed with a duration of 30 minutes @ $310 per adult. 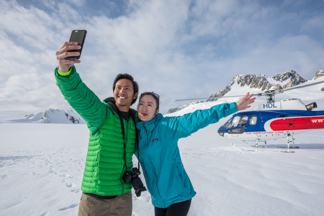 Start your journey by soaring over the township of Fox and take in the majesty of the longest glacier before landing in the snow field at the top. 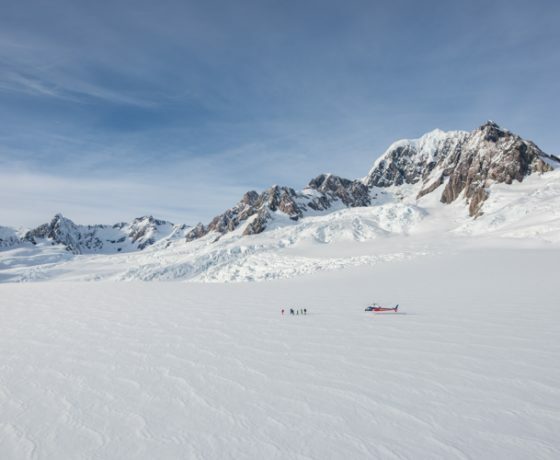 With plenty of photos opportunities of this stunning scenery before flying to view the west face of Mount Cook before returning via the valleys to Fox. 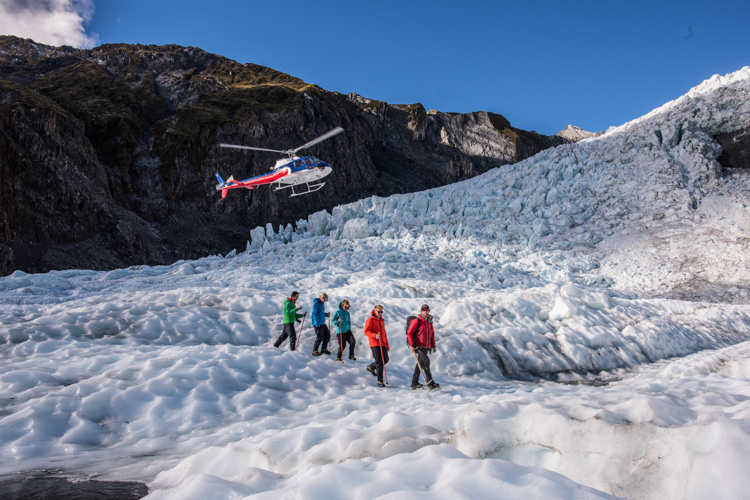 For the ultimate Franz Josef Glacier experience join us on a guided ‘Heli-Hike’ lasting for 3 hours @$469 per adult. 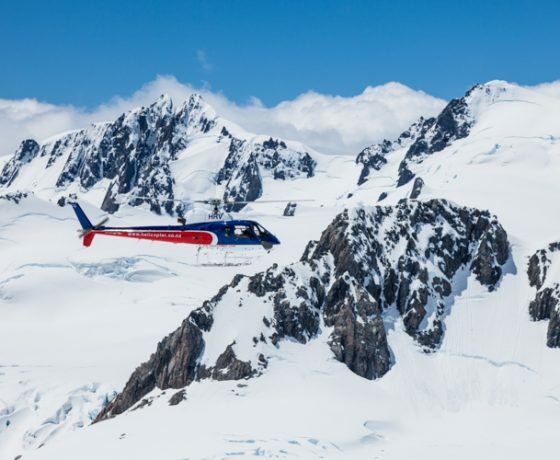 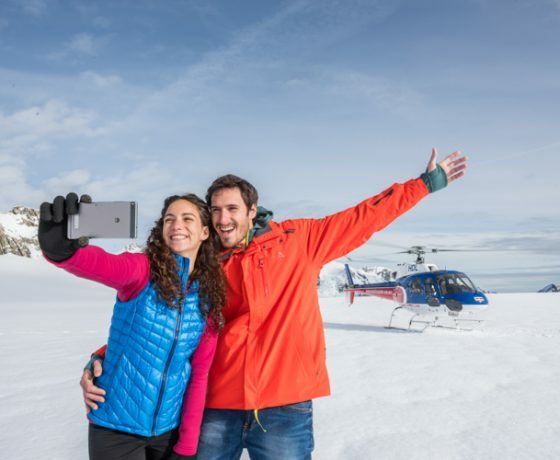 Begin your adventure with a scenic helicopter flight where you will witness the majesty of the beautiful ice formation of the Franz Josef ice fall and once you have landed you will then be joined by an experienced guide who will lead you over terrain only usually seen by experienced mountaineers. 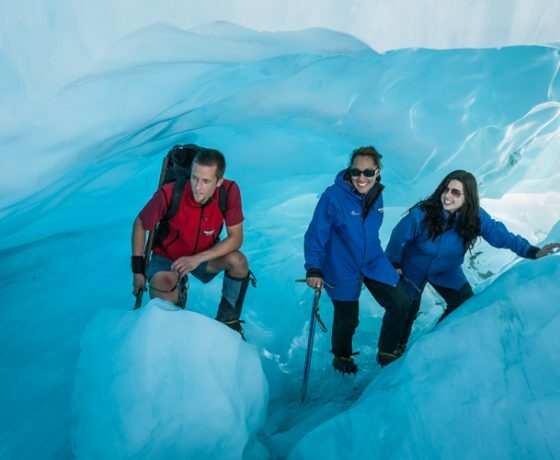 Stand in awe of the pristine blue ice pinnacles and deep crevasses before your guide leads you through some of them, touch the ice, breathe in the fresh alpine air and enjoy one of the world’s most exhilarating experiences. 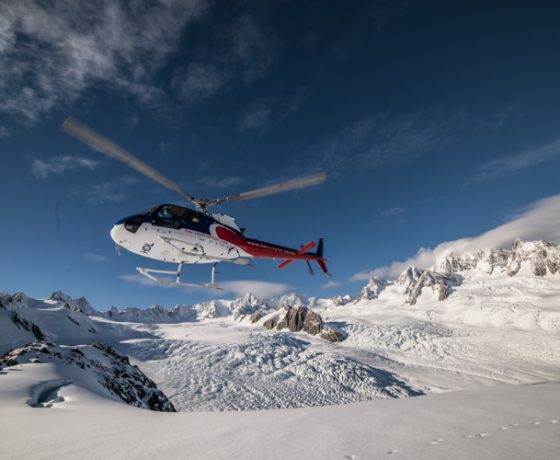 So Book Now and experience this region of untamed beauty with The Helicopter Line.